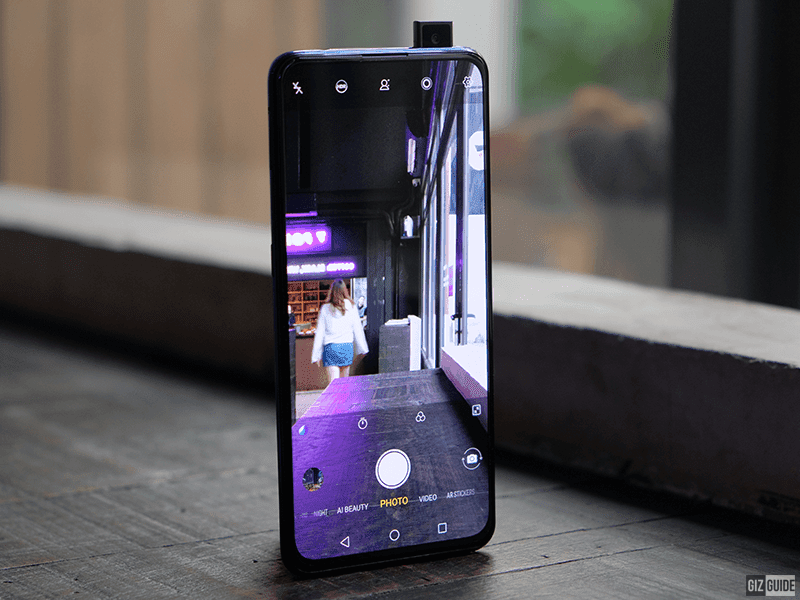 Vivo has just announced the V15 Pro with triple rear cameras and elevating selfie camera for the Philippines and this is our first impressions! 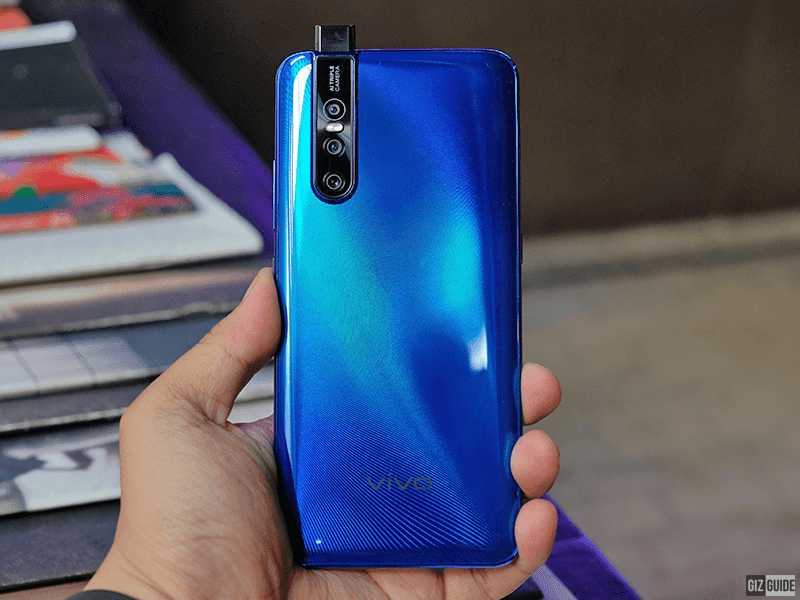 Vivo has learned from the V11 and has improved the the design, build and specs of the new V15 Pro. It has a 6.39-inch 2.5D curved Gorilla Glass 5 Super AMOLED screen with a resolution of 2340 x 1080 at 403 ppi. It is powered by a Snapdragon 675 AIE octa-core processor and Adreno 612 with 8GB RAM and 128GB ROM. The box it comes in is the familiar matte white box with the picture of the phone, branding and regulatory information. Inside is the phone, the documentation, the USB to micro USB cable, 5V/2A power brick, earphones and the bumper clear case. The V15 Pro significantly ups their game with the build materials and design of the phone when comparing with the V9 and the V11 series. V15 Pro is made up of a premium glossy polycarbonate frame and a glossy glass-like back. Premium glossy polycarbonate frame and a glossy glass-like back! The back is a new gradient design with wavy line patterns. 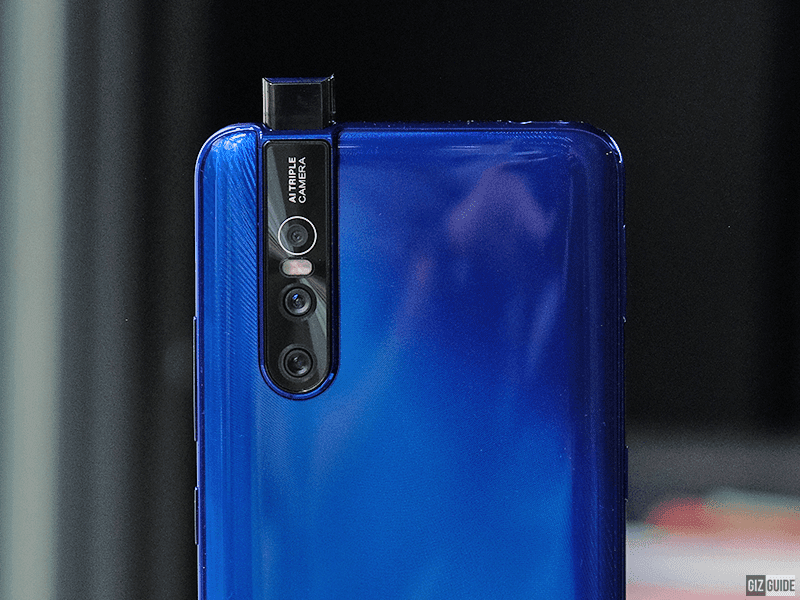 At the bottom is the Vivo branding while the triple rear cameras are on the top left. This results in a better feeling device on hand but because of the glossy back and frame, it can feel that the phone may slip at any time. These are also huge fingerprint magnets. The elevating selfie cam is designed to last! Many are afraid because of the elevating camera's design that it will affect the structural integrity of the phone. 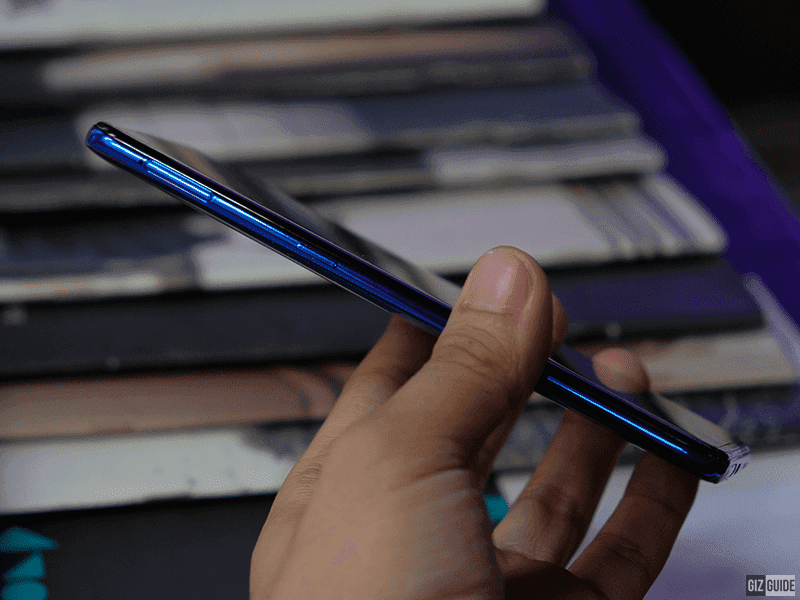 BUT, Vivo claims that the elevating design is meant to be used for around 300,000 times. It is designed to last longer than other phones. The 6.39-inch Super AMOLED display nearly takes up the whole front with thin top and side bezels. Only the chin is noticeably thicker than the rest. The display also has a screen protector applied out of the box. It comes with a tall 19:5:9 ratio and 91.64 percent of screen-to-body ratio. 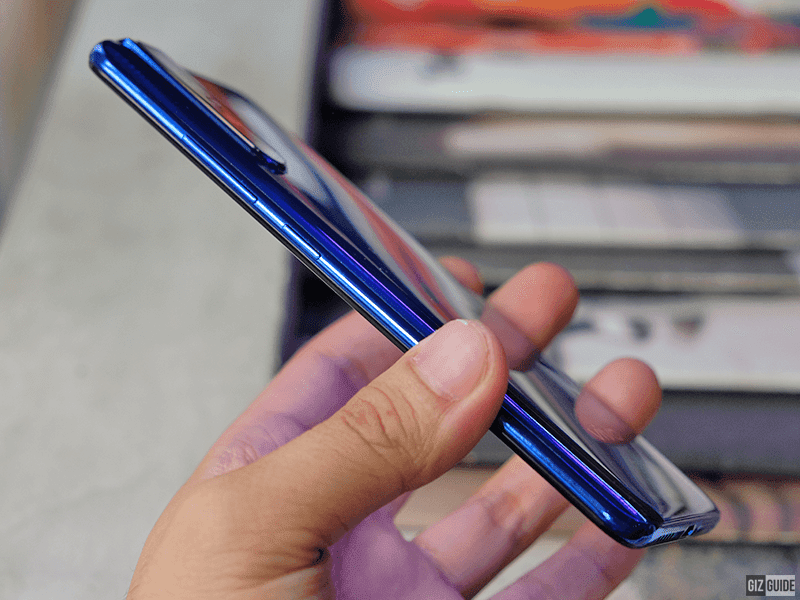 By using a full screen display, the Vivo V15 Pro with large 6.39-inch screen is able to be smaller in a smaller form factor compared to an iPhone 8 Plus with smaller 5.5-inch screen. It measures at 157.25 x 74.1 x 8.21 mm. 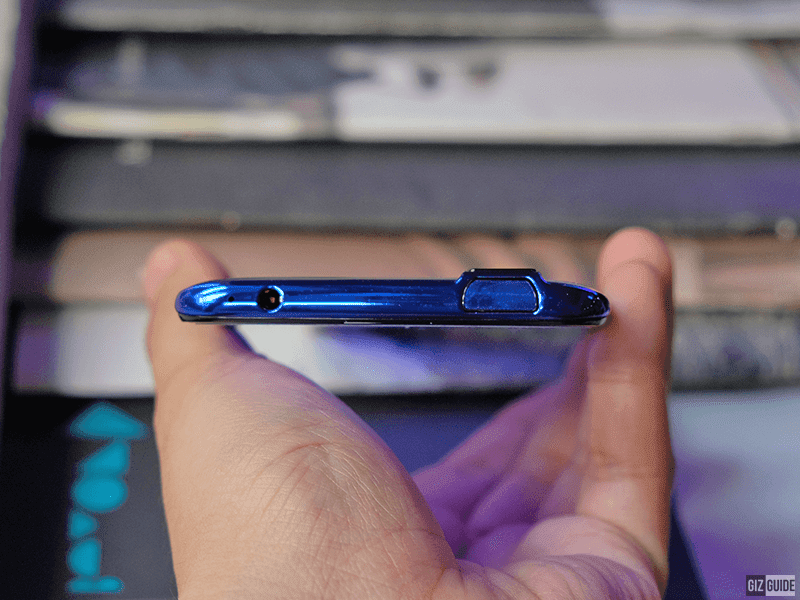 On top, there's a single microphone hole, 3.5mm headphone jack and the pop-up camera. At the bottom is the micro USB port, single speaker grill, microphone and the SIM card tray. At the right side are the volume rocker and the power button while the right side has the SIM card tray. The phone is also comfortable to hold, but prone to fingerprint scanner. It weighs at 185 grams. 1. 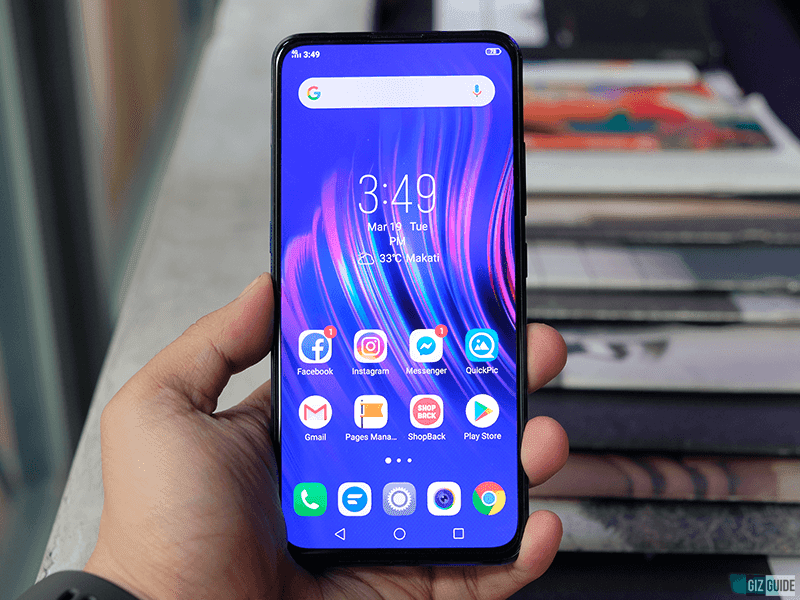 The Vivo V15 Pro carries a large 6.39-inch Super AMOLED display with a resolution of 2340 x 1080 resolution at 403 ppi with thin side and top bezels. It is packaged in a premium glossy frame and glossy glass-like back panel. The display is bright with vibrant colors that produce sharp text and images. Super AMOLED remains to be the best displays in the market. AnTuTu score of the new processor! 2. Inside is a 2.0GHz 64-bit Snapdragon 675 AIE octa-core processor with the Adreno 612 GPU with 8GB RAM and 128GB ROM. This resulted in initial AnTuTu score of 177,055 with favorable results in the CPU and Memory scores. The GPU however isn't that high. 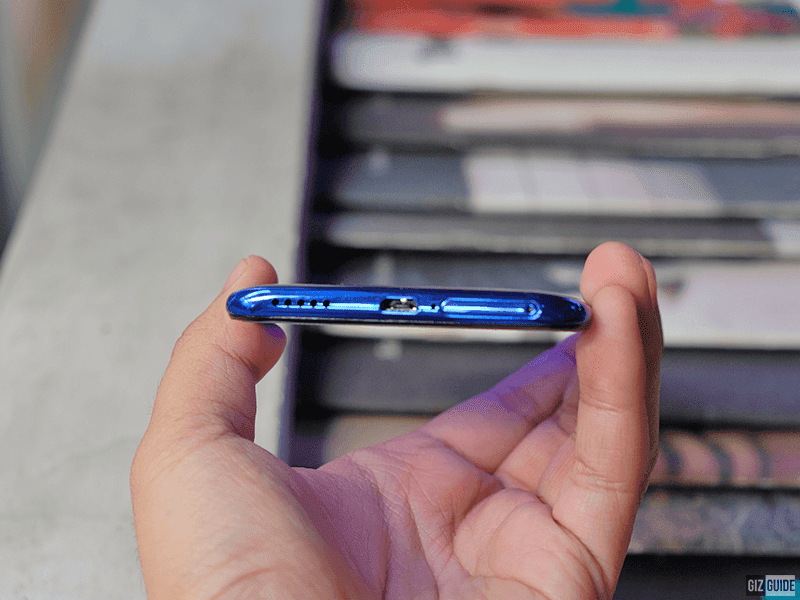 The battery is a 3,700mAh battery that is charged via microUSB with a 5V2A power brick which we think isn't great given that more phones like the Samsung Galaxy A30 and the A50 offer fast charge 15W charging over USB type-C.
3. 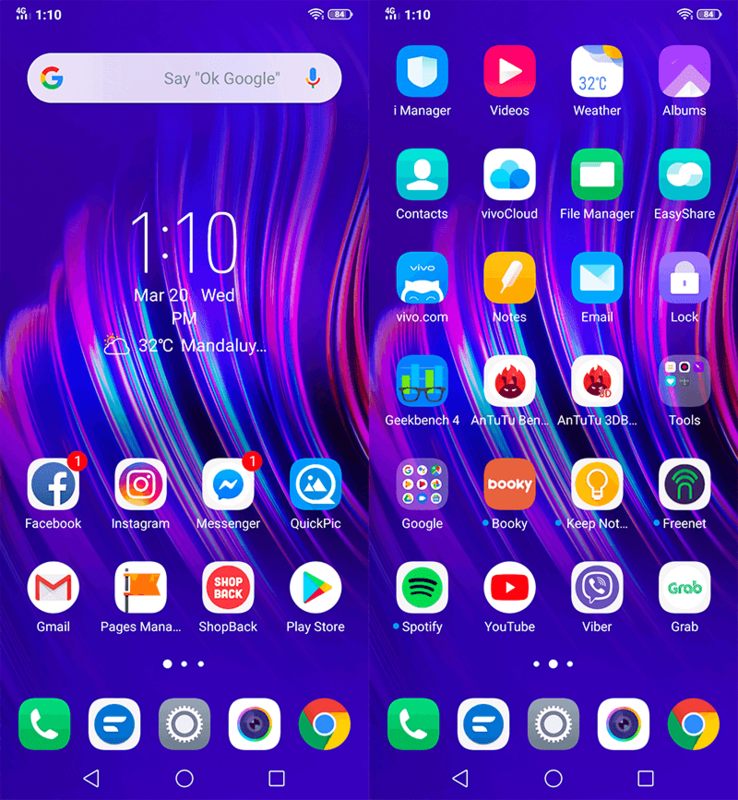 V15 Pro runs on the latest Android 9 Pie based FunTouch OS that had minor visual improvements over the previous generations. It still the good mix of Android and iOS UI elements that we love but because there isn't any drastic changes, it feels somewhat dated. 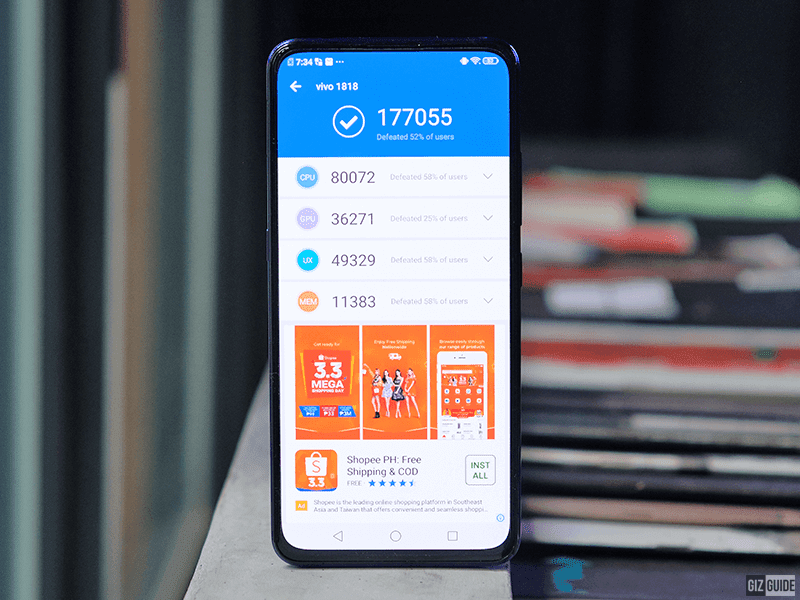 Don't get us wrong, it is perfectly fine but we just wish Vivo would up their game like in ColorOS 6. 4. At the back are the rear triple camera set-up made of a 48MP f/1.8, 8MP f/2.2 120-degree ultra wide-angle lens and a 5MP f/2.4 w/ PDAF and LED flash. The images are noticeably good out of the box from both daylight and low light images from the main camera. In low light, the wide angle camera seems to drop in image quality. The images out of the box of the selfie camera are noticeably sharper and more vivid than the rear camera images. We will have to do more testing to see how it really stacks up. 5. The fingerprint sensor is under the display and Vivo says that it has been improved. In our initial testing, it is slightly faster but it still has the hit or miss hit rate that the previous generations of In-Display fingerprint scanners have. The face unlock is almost instantaneous as soon as the camera pop-up mechanism reaches the max height. 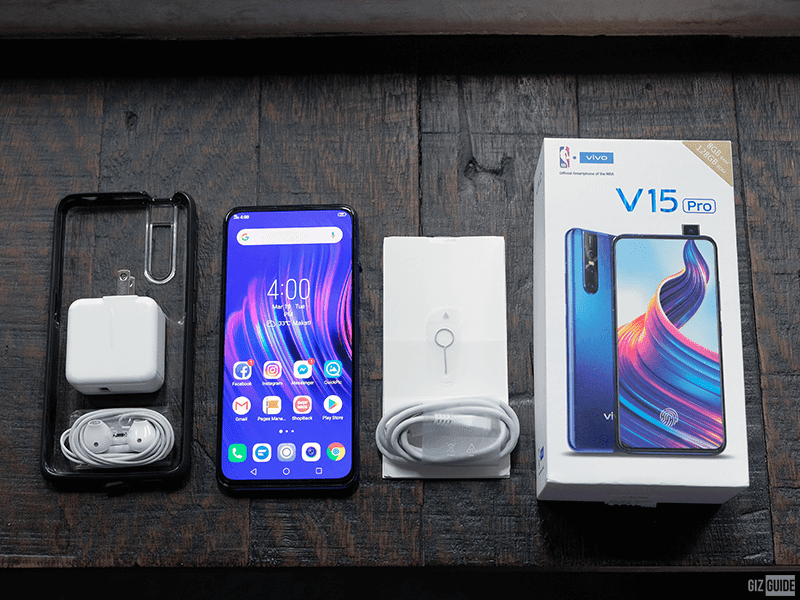 The Vivo V15 Pro is looking to be one of the better designed and spec'd phones for its price point. 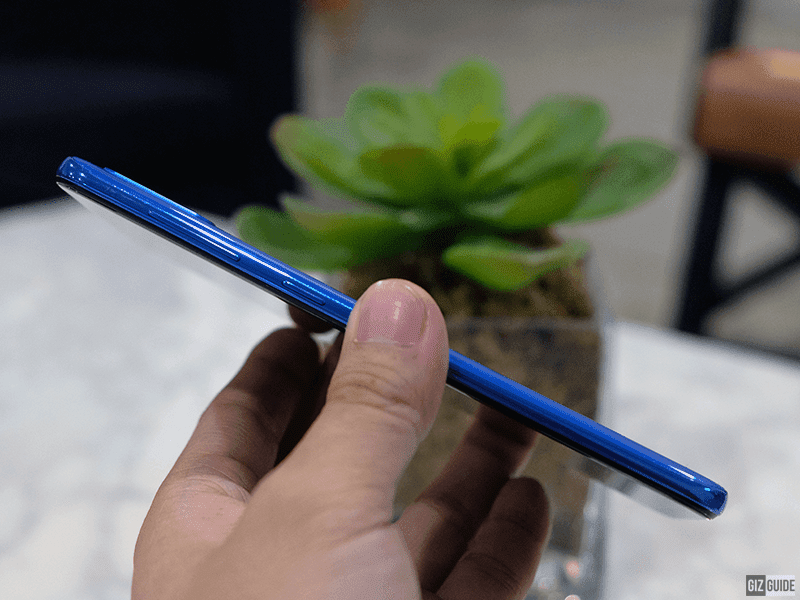 This is because of the new 11nm Snapdragon 675, 8GB RAM, 128GB storage, the triple rear camera, the 32MP selfie pop-up camera and the In-Display fingerprint scanner. We do wish that Vivo would have added USB-C and a larger battery to make this phone even more competitive than it already is. We are excited to see more of what this phone can do.